Yesterday, tío Julio "Koko" Sosa died. His passing came more quickly than I expected. Julio was a master of the guitar. I was always mesmerized anytime he would play during one of our family get-togethers. The entire family will miss him greatly. 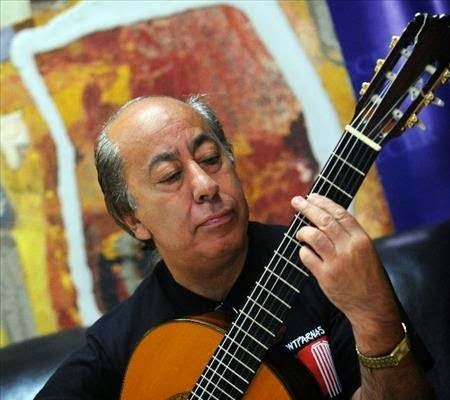 Julio performed, composed, and arranged for hundreds of recordings, concerts, and festivals over the years. He is well remembered in his hometown. Until very recently, he taught regularly in DC. Some of his students upload their covers of his songs on youtube. You can see him perform at the Kennedy Center below, or in El Salvador in the embedded video below that.